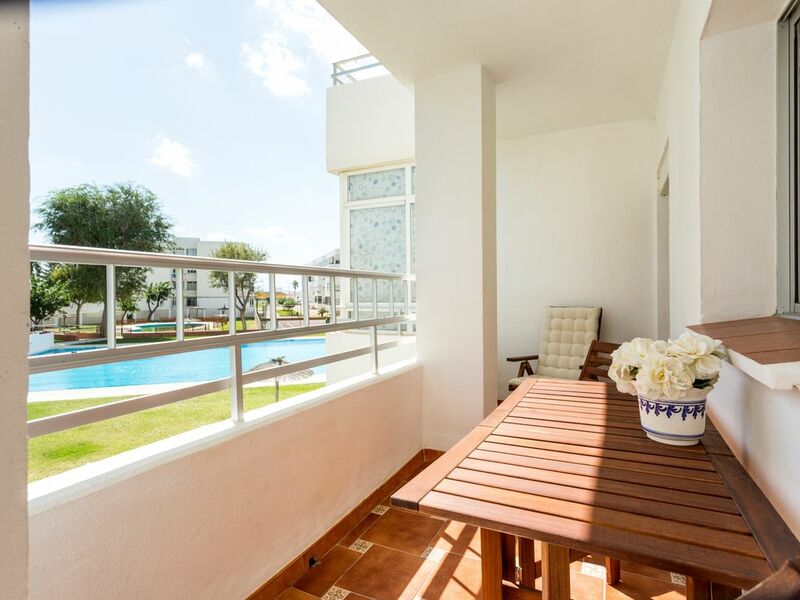 Comfortable two bedroom apartment with terrace at Valdelagrana beach. Located in the Puerto Principe, a few meters from the beach, the complex has swimming pools (adults and children), tennis courts and parking area closed. Enjoy the beach with its golden sand and warm water. Valdelagrana has one of the most beautiful promenades in Andalusia, with a wide variety of entertainment venues: pubs, restaurants, pubs, bars, ice cream parlors, cafes, etc. In its vicinity is the Bahia Mar shopping center, with a diverse range of leisure. Surrounded by pine trees and natural parks, Valdelagrana is a bubble in the nature. Also, if you do not mind taking your car, it is 3 km away from the center of Puerto de Santa María, 12 km and 15 km Rota Cadiz or Jerez de la Frontera. El piso está recientente reformado. Todo muy limpio y bien equipado. Falto algunos utensilios de cocina, detergente, etc pero fácilmente mejorable por Pepi la dueña. Muy amable ella y su esposo. La llegada un poco “confusa” por no disponer de un teléfono con el contactáis en destino. El entorno magnífico, playa estupenda y mucha oferta de restauración. CHECK IN. The check in time for the dwelling is between 15h and 02h on the first day of the stay. CHECK IN EXTRA CHARGES. • For all check ins between 21:30h and 23:30h there will be an extra charge of 25€. • From 23:30h to 01:00h there will be an extra charge of 40€. • From 01:00h until 02:00h (maximum key delivery time), the extra charge will rise to 60€. • These amounts must to be paid in cash upon check in.